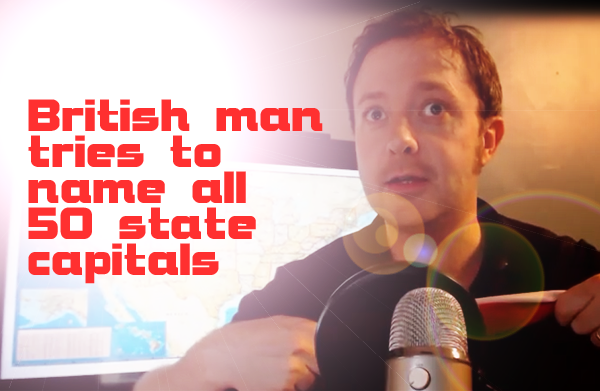 In this week's video, I try to name all 50 state capitals completely from memory. As many of my readers will know, the U.S. has always been of considerable interest to me—to the extent that I knew the names of all the states when I was 18 years old. However, if the state names are intermediate level trivia, then I suppose their capitals fall under "advanced." See the video below and let me know if I got your state's capital correct. Music: Pier 39 by Laurence M. Brown. Pretty good job, i would have been a puddle of nervous forgetfullness and actually didnt know 3vor 4 of them. Give yourself a pat on the back. There are many who can't even do half of them.